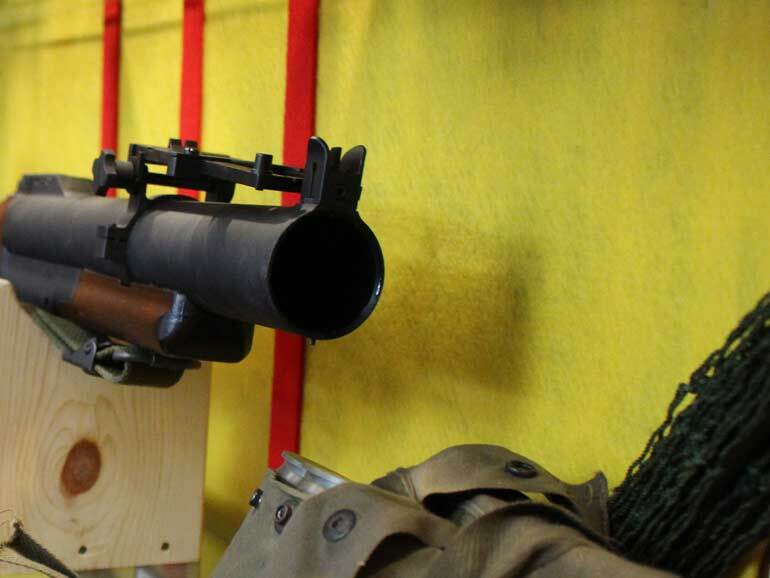 The Vietnam War was a long, costly and divisive conflict that pitted the communist government of North Vietnam against South Vietnam and its principal ally, the United States. Active involvement in the war by the US began in 1954. Over 3 million US military personnel served in the Vietnam War and over 58,200 American men and women were killed there. Opposition to the war bitterly divided Americans, even after President Richard Nixon ordered the withdrawal of U.S. forces in 1973. In the United States, the effects of the Vietnam War would linger long after the last troops returned home. The nation spent more than $120 billion on the conflict in Vietnam from 1965-73; this massive spending led to widespread inflation, exacerbated by a worldwide oil crisis in 1973 and skyrocketing fuel prices. 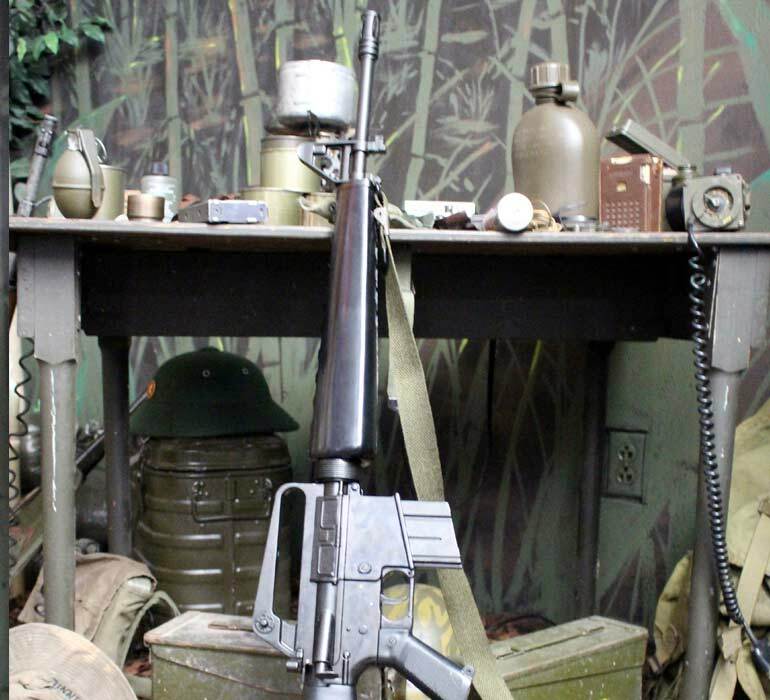 This realistic exhibit features an artillery observer’s forward outpost in a jungle setting complete with weapons and equipment. 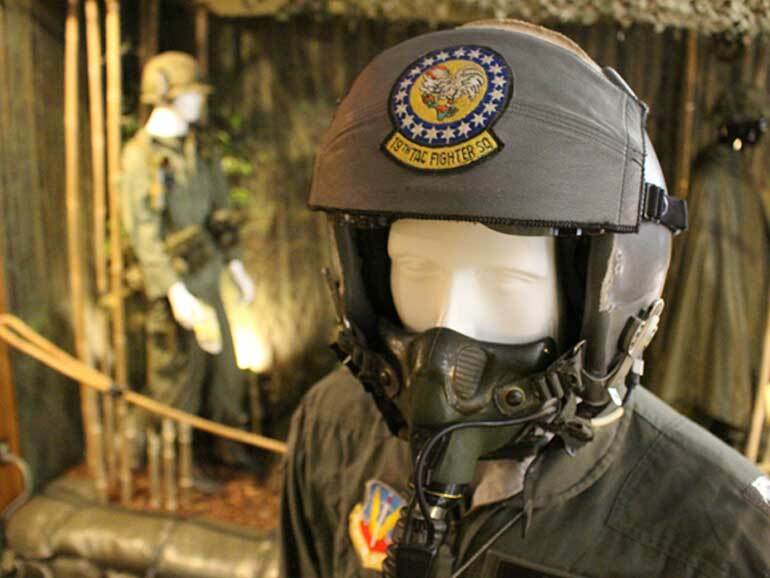 There are mannequins outfitted in both Vietnam period uniforms and flight suits. Featured is an exhibit of captured equipment and flags from Viet Cong and North Vietnamese soldiers. This is one of the most popular exhibits in the Museum.